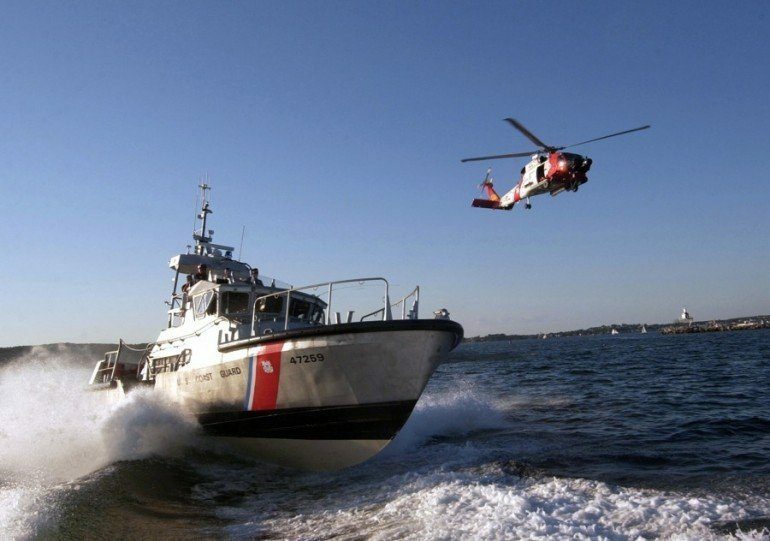 A man suffering a suspected stroke was medevacked from a tanker off Cape May, New Jersey, the US Coast Guard (USCG) announced. A USCG boat crew of four performed the evacuation, taking the 46-year-old crew member from the 600-foot French-flagged tanker Tamarin . The 45-foot Response Boat-Medium (RB-M) was used because weather conditions prevented helicopters taking off. The man, who was not named, was transported to Cape May where he was stabilized by EMS personnel and taken to Cape Regional Medical Centre. Cape May city is located at the southern tip of Cape May Peninsula where the Delaware Bay meets the Atlantic Ocean.